Professor Robert Kirby qualified from Birmingham University in 1977. After training in London, Surrey and the West Midlands, he was appointed to University Hospital of North Staffordshire in 1991 as a General Surgeon. 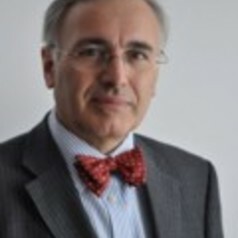 He has specialised in breast cancer surgery and, until recently, maintained a colorectal interest. Rob has been Honorary Secretary and President of the West Midlands Surgical Society and President of the Keele (students) Surgical Society. He has been a member of BASO (British Association of Surgical Oncology) since becoming a Senior Registrar and was elected HonoraryTreasurer in 2013 . He was appointed as the BASO President Elect in 2015 and President in 2017.